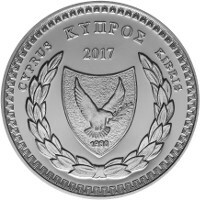 The Central Bank of Cyprus announces the issue of a silver collector coin with nominal value of €5 in proof condition, minted in 2018. This coin is issued on the occasion of the 10th anniversary of the accession of Cyprus to the Eurozone. Sales to the public and collectors of numismatic items will commence on 15 November 2018 and will continue while stock lasts. The Central Bank of Cyprus announces the issue of a set of Cyprus euro coins in brilliant uncirculated condition and mint year 2018. 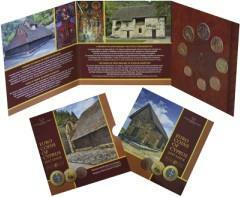 This is the fourth set of the series of Cyprus euro coin sets dedicated to the Religious Monuments of Cyprus. Sales to the public and collectors of numismatic items will commence on 21 May 2018 and will continue while stocks last. The Central Bank of Cyprus (CBC) announces the issue of a silver collector coin with a nominal value of €5 in proof condition, minted in 2017. This coin is issued to commemorate the Cypriot poet Vasilis Michaelides on the occasion of the 100th anniversary of his death. Sales to the public and collectors of numismatic items will commence on 11 December 2017 and will continue while stocks last. The Central Bank of Cyprus announces the issue of a set of Cyprus euro coins in brilliant uncirculated condition and mint year 2017. 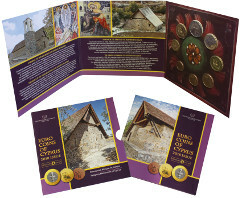 This is the third set of the series of Cyprus euro coin sets dedicated to the Religious Monuments of Cyprus. Sales to the public and collectors of numismatic items will commence on 20 June 2017 and will continue while stocks last. 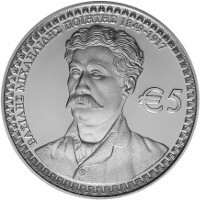 Issue of a collector coin in honour of the poet Dimitris Lipertis. 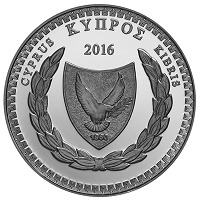 The Central Bank of Cyprus (CBC) announces the issue of a silver collector coin with a nominal value of €5 in proof condition and issue year 2016. 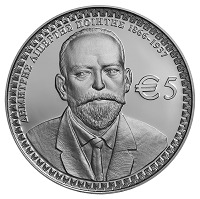 This coin is issued to commemorate the Cypriot poet Dimitris Lipertis on the 150th anniversary of his birth. Online sales though the CBC “e-shop” will commence on 28 December 2016. 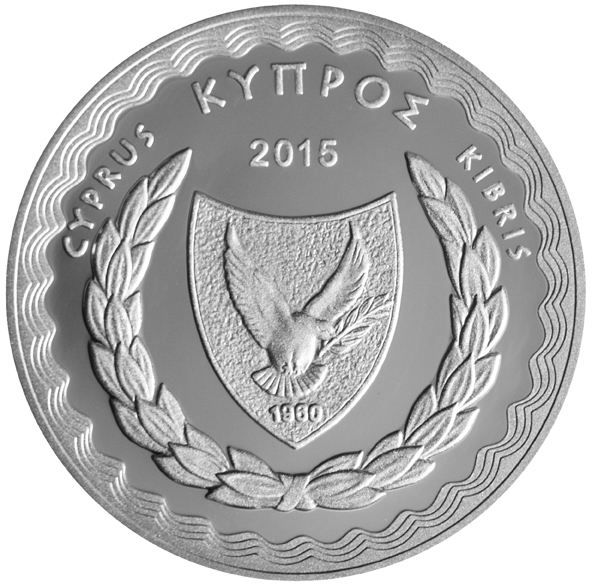 The Central Bank of Cyprus announces the issue of a silver collector coin with a nominal value of €5, in proof condition and issue year 2015. 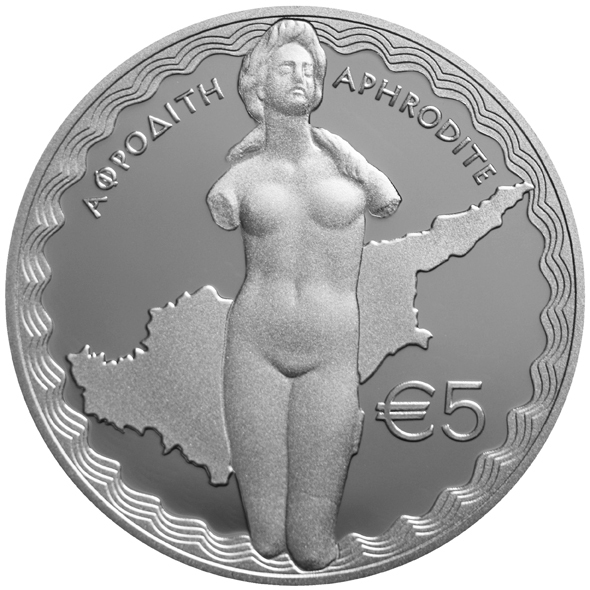 The coin is issued in honour of goddess Aphrodite of Cyprus. Sales through the Central Bank of Cyprus e-shop will commence on 5 October 2015. 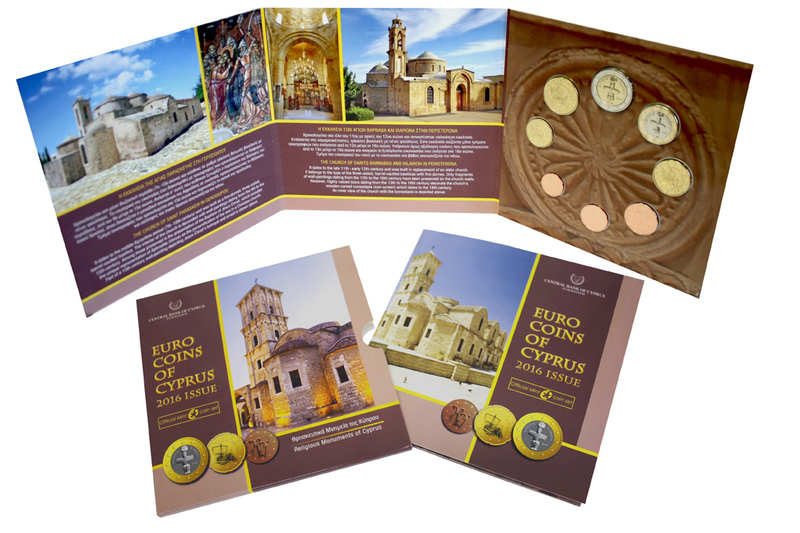 Issue of the 2015 set of Cyprus euro coins. The Central Bank of Cyprus announces the issue of a set of Cyprus euro coins in brilliant uncirculated condition and mint year 2015. 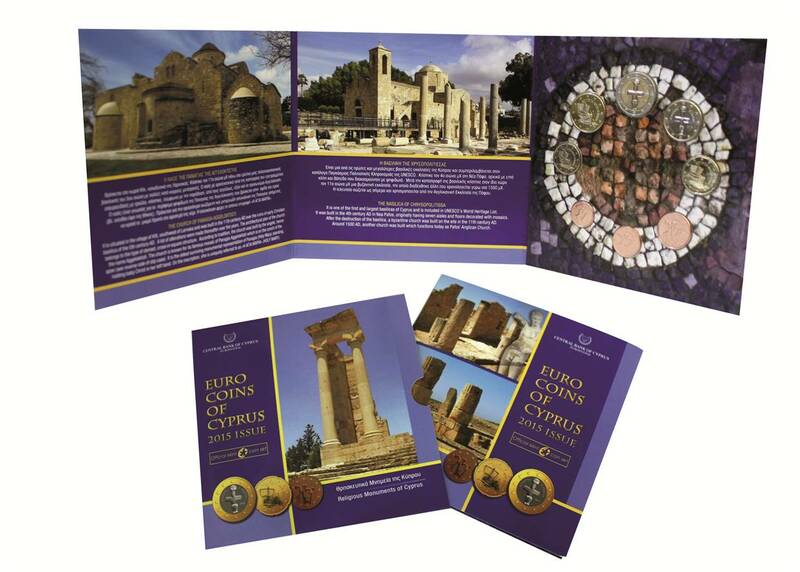 This is the first of the new series of Cyprus euro coin sets dedicated to the Religious Monuments of Cyprus. Sales to the public will commence on 25 May 2015 and will continue while stocks last.